Just because Christmas was last week, does not mean the holidays are over. There is still plenty of time to get your gifts out, even the week after Christmas. ?I do almost all of my shopping online and I’m always looking for a great deal and thanks to UPS-My Choice…I always have the option to get a great deal on shipping something. ?UPS is committed to making the on line shopping experience better ? 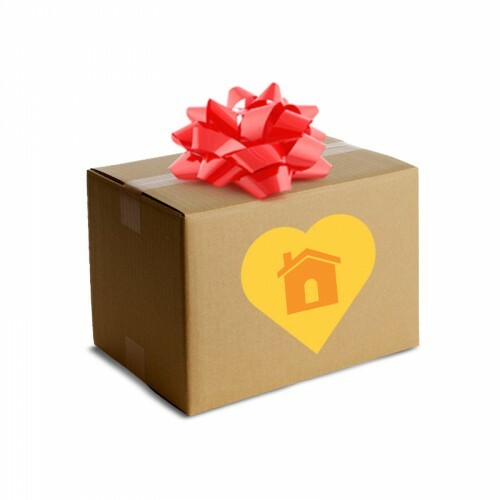 not just for shippers, but for the consumers who receive packages at their home as well. That?s why UPS is transforming the package delivery experience with a first-of-its kind, customizable delivery service for residential receivers called?UPS My Choice. There is nothing worse than ordering a package and you’re not there to get it. Can I get an AMEN? So many times I order something and then MISS it!? ?UPS My Choice helps avoid the disappointment and hassle of missing a home delivery by empowering consumers to take control of their UPS deliveries. This ground-breaking service increases the likelihood of a successful delivery on the first attempt by providing delivery alerts, specific delivery time frames, reroute options, a visibility dashboard and electronic signature release ? all by accessing?ups.com?through a computer or mobile phone. UPS My Choice members?receive phone, e-mail or text alerts notifying them a day in advance of when packages will arrive and providing a four-hour approximate delivery time frame. They also have the option to electronically authorize release of packages that require a signature and, for a $5 transaction fee, to reroute a package to another delivery address or have it delivered to the nearest The UPS Store? location. UPS My Choice Premium Membership, available for a $40 annual subscription, provides all the benefits of a regular UPS My Choice membership at no additional cost and in addition, members gain access to an online delivery calendar that shows the status of UPS home deliveries. Premium members also are offered a two-hour delivery window. A $5 transaction fee is charged only upon successful delivery of the package within the two-hour commitment. As a Premium member, consumers can even provide their UPS driver with detailed instructions on where to leave a package. They ?just select from a drop-down list of location options like — leave it at the Side Door?the Garage?on the Porch?in the Management Office of my apartment complex or the Shed out back! Don’t miss out on getting your packages delivered for the holidays and year round! Not to mention all of those great gifts you can get on sale after the holidays! To register for UPS-My Choice?visit the link provided. Speaking of UPS–They just pulled up!? PS. Visit UPS on Facebook and Twitter! I received compensation from UPS in the form of a gift card to participate in this campaign promoting the UPS My Choice delivery service. This should make receiving packages so much easier. Sounds like it will make life a little easier. I’ve always just shipped my stuff through the post office because there isn’t a UPS or FedEx facility in my town, but I suppose my local UPS office isn’t all THAT far….. I agree that it can make things a lot easier. I can’t wait to use them next year! Glad you note that you were paid to promote this, but for the rest of us, the paid service may be useless, or worse. To my horror, I received a delivery confirmation email while out of town – a package had been left on my front steps. Of course, when I returned several days later, it was nowhere to be found. I’ll get a refund from the retailer, but the item was irreplaceable – an end-of-season style that was on back order and is now sold out. AND I’ll get a refund from UPS for the $40 My Choice Premium fee. UPS Customer Service agreed that my hold was plainly in their system — the local dispatch center had apparently simply ignored it! Great idea, but not ready for prime time yet. Maybe by next Christmas?? ?